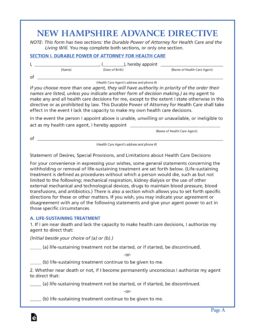 The New Hampshire advance directive is a document,referred to sometimes as a living will and power of attorney combination, contains the express decision of the Declarant/Principal direction that no life-sustaining procedures should be taken when the person providing the document is in a terminal condition or is permanently unconscious and with little or any hope of recovery from such condition and is unable to actively participate in the decision making process with their medical team. Step 6 – Explaining your instructions in further detail – The Declarant may choose none, 1,2 or all 3 selections in this section. 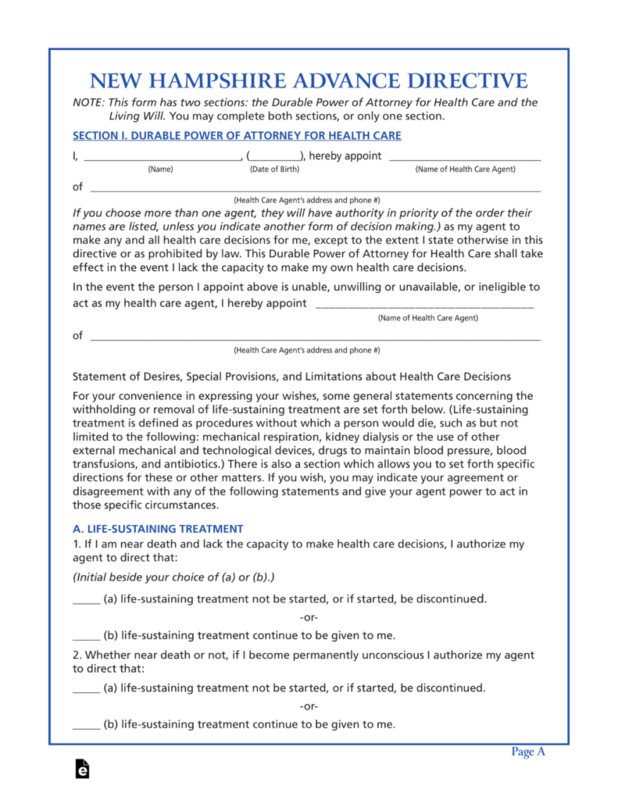 If more pages are needed, continue on added sheets and attach them to the document. At the end of the section, the declarant must make their selection by initialing a. or b. according to their preferences.